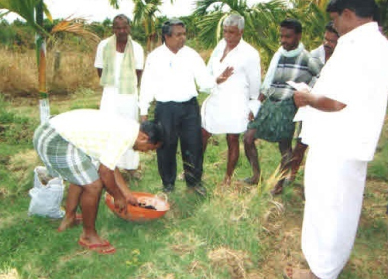 The prevailing major concern is the indiscriminate use of fertilizers by farmers especially Urea, since it is the cheapest fertilizer available in the market for which the Government is paying heavy subsidy. Presently, the optimum usage of fertilizers per agriculture Department for NPK has been in the ratio of 4:2:1 but farmers are applying in the ratio of 8.2 : 2.7 : 1. The excess application of Urea is due to Governments low administered price. The balanced fertilizer application will be realised only if the Urea price is increased to the extent of full / partial decontrol as is done for Phosphatic and Pottassic fertilizers (NP/K). Alternatively, the extent of increase in Nutrient N can be reduced in P&K, so that farmers can apply enhanced quantity of NP / K products. Further, the value added urea product, Neem coated Urea has been introduced in the market recently per Governments directive in order to curb the excess application N Nutrient, thereby Government can foresee a reduction of Urea application as well around 15% reduction in Urea subsidy burden for the Government. This would pave way for balanced fertilizer application and consequent enhancement in food grains productivity with a thrust given to quality as paramount importance. Introduction of the eco-friendly products is need of the hour in order to maintain soil, texture and fertility for increasing crop yields towards food security. The City Compost, Neem based products, Bio-fertilizers and Organic Manure are the complimentary products for reducing chemical fertilizers. 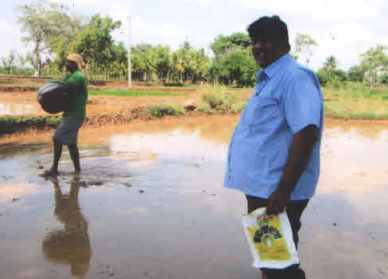 Per Basket Approach, all the fertilizer manufacturers shall have to conduct intensive promotional programs under basket approach and emphasis the need in sustained manner to farmers for the application of 4/3 bag of organic fertilizer vs. 6/7 bag of chemical fertilizers. 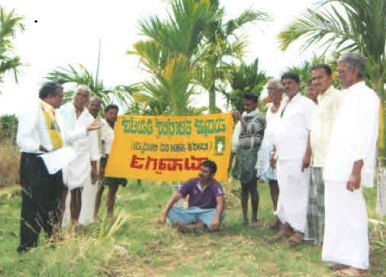 We, MFL, has been marketing Organic Manure and Neem Pesticides since three and ten years respectively and MFL is also manufacturing and marketing Vijay Bio-fertilizer since two decades in order to enrich the soil fertility and to enhance the productivity of food grains with quality in eco-friendly manner. Another important area that all the fertilizer manufacturers in their operating territory shall have to continuously meet the farmers and address their agriculture problems with the coordination of State Department of Agriculture. A sustained effort on promotional program viz. 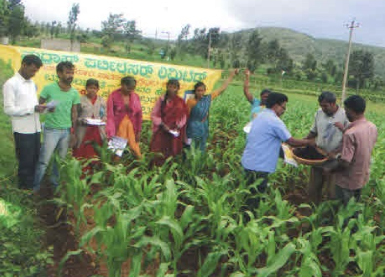 soil testing, demonstrations, enhancing dealer network, ensure fertilizer availability on MRP rates to farmers, health campaign for farming community and their pet animals, eye campaign, obtain good drinking water supply through nearby natural resources, educational and cultural programs are to be performed in a structured manner under Corporate Social Responsibility to ensure and to enhance the quality of life of rural mass at large.